I absolutely cannot say enough about Erica, she is awesome! Extremely caring about finding out what you are going through& fixing it ASAP! Excellent Doctor & the only one I prefer to see at this office. Highly recommendable! I absolutely cannot say enough about Erica, she is awesome! Extremely caring about finding out what you are going through & fixing it ASAP! Excellent Doctor & the only one Iprefer to see at this office. Highly recommendable! I really like Dr. Payne! She’s very relatable and knowledgeable in her work. So sad I won’t be seeing her fora while, because she told me i was pregnant today, but I will be back!! I really like Dr. Payne! She’s very relatable and knowledgeable in her work. So sad I won’t be seeing her for a while, because she told me i was pregnant today,but I will be back!! Erica Payne is a nationally certified Family Nurse Practitioner skilled in family care with a focus on prevention and patient education and is accepting new patients. LiveOn Medical Centers are pleased to have Ms. Payne join our team of excellent providers. Ms. Payne received her Bachelor of Science in Nursing from Clayton State University, Morrow, GA and her Master of Science in Nursing, FNP from South University, Savannah, GA. With specialized training in cardiopulmonary testing, advanced lipid evaluation and lifestyle modification, Ms. Payne is trained to detect problems early and apply medical and lifestyle science to aggressively prevent heart disease and stroke and substantially reduce the risk of cancer and other diseases. A provider who handles your everyday needs but takes the time to help you live long and live well is rare. Book an appointment today to see for yourself. Great! Very knowledgeable and explained everything. Erica was extremely caring, knowledgeable, and professional. Erica is always pleasant and informative. She shows genuine concern and has great bedside manners. I would highly recommend her for primary care. Erica Payne was very professional, kind, thorough and caring. Everything went well on the visit, however, I feel like I was kind of rushed being that I had the last appointment of the day. I met with Dr. George and his intern and they were both wonderful. The front staff was kind and informative so I appreciated that. She's awesome and has great bedside manners. She was very easy to talk to and the most important thing is that she listened to my concerns. It was my first visit with LO, and Erica. Everyone was very helpful, I had virtually no wait, and Ms. Payne was awesome. It is always a pleasant experience with Erica Payne. She's knowledgeable and thorough. I feel comfortable with her. I love how her bedside manner. She is real! Nurse Payne has a very good rapport with her patients. She listens well, does a thorough job, and is very relatable. I would definitely recommend her to anyone. My wait is usually pretty immediate. Erica is always respectful, knowledgeable, thorough and great bedside manners. Always great. Erica is compassionate and caring. Great NP!!! Very great doctor. Listens to your concerns. Very thorough. Erica is awesome! She listens and always makes sure to give you the best treatment for you. Always a great experience. She listens to what I have to say and takes her time. Love her! Always professional with compassion and bedside manners. She is very intuitive with her patients. Very high spirited and knowledgeable. So glad that we found Nurse Practitioner Payne on Zocdoc! She invested so much time into her evaluation, and thoroughly listened to our concerns. She made my Dad feel comfortable and genuinely cared about helping him. I would highly recommendher for any and all of your health needs. We definitely found our new healthcare provider. 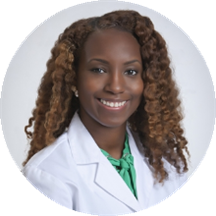 Ms. Payne is a very thorough medical professional who takes a proactive approach with her patients. She wants to make sure her patients will achieve optimum healthcare. The only suggestion I would make is for her to try to use alittle more warm, soft bedside manner. That will so compliment her thoroughness. I love going to see Erica. She answers all my questions. She always listens to me and takes her time! Ms. Payne takes her time with me and listens to my concerns, Her bedside manners are great. She is thorough and explains results. Very knowledgeable and helpful. I would recommend her for care and treatment. Very knowledgeable and understanding. Listened to my concerns. Very relatable. Highly recommended. Erica is very knowledgeable and pleasant to deal with. DR. Payne is an amazing NP. I loved it. She made me feel comfortable. She explain everything to me with very much detail. I would highly recommend her to everybody. I did some research once I made the decision to change primary care physicians. Mrs. Payne had some great reviews and she lived up to every one I read. She was very personable. She took the time to listen to myconcerns; she listened and did not rush me. She also was emphatic. My first impression of her is that she is compassionate, warm and very thorough. I hope this is the beginning of a great ongoing NP/patient relationship. I love Mrs. Payne! She is very thorough and extremely open; she is easy to talk to and makes you comfortable about uncomfortable issues. I brought my husband and loved her feedback and thoroughness so much, I scheduled my appointment forthe next week. I sure this will be our primary care location from now on. I think Mrs. Payne is wonderful and she's very detailed with her information. Which I absolutely love. I also had little to no wait time And the staff as a whole is very nice. Erica is always pleasant and so is the rest of the staff. Listened to my concern and offered sound advice.